Four Note Ear Training Series develops your ability to modulate and hear Four notes played simultaneous. Ear Training Four Note Simultaneous is consistent with the exercises found it the Two Note Ear Training Series but with Four notes. 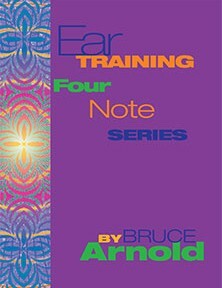 Four Note Ear Training is done in the exact same way as Two and Three Note Ear Training so no book is included. In some ways it’s easier because Four notes define a key center easier than two notes. Five Volumes available. Ear Training Four Note Simultaneous. Get Ear Training Four Note Simultaneous…Volume One download today! Ear Training Four Note Simultaneous… Volume Two. 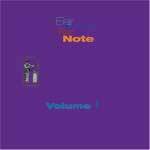 Get Ear Training Four Note Simultaneous…Volume Two download today! Status: In stock,Digital book is available for immediate access. Ear Training Four Note Simultaneous… Volume Three. Get Ear Training Four Note Simultaneous…Volume Three download today! Get Ear Training Four Note Simultaneous…Volume Four download today! Ear Training Four Note Simultaneous… Volume Five. Get Ear Training Four Note Simultaneous…Volume Five download today! Digital book is available for immediate access. This entry was posted in Ear Training and tagged aural comprehension, ear training tools, ear training, aural training, audio, listening, mp3, note by Muse Eek. Bookmark the permalink.